James Stafford: Do you believe that shale gas is the energy savior we have been hoping for and can deliver all that has been promised? Or have we been oversold on its potential? James Stafford: The old dream of US energy independence has been finding its way into the headlines again as a combination of resurgent domestic oil production, improvements in vehicle fuel efficiency and the shale boom have led many experts to predict that although it is unlikely, it’s no longer the fantasy it once was. What are your thoughts on US energy independence? James Stafford: Japan recently made the announcement that they aim to phase out nuclear power by 2040. What is your opinion on this decision and on nuclear energy in general? Can the world live without it? James Stafford: Renewable energy continues to be a favorite amongst many politicians – yet advances are slow and expensive. Do you see renewables making a meaningful contribution to global energy production? And if so over what time period? James Stafford: Are there any renewable energy technologies you are optimistic about and can see breaking away from the pack to help us extend the fossil fuel age? James Stafford: Renewable energy innovation has been coming under fire lately, with the Solyndra scandal and now Tesla motors are looking to be in trouble – both of whom were backed by government loan guarantees. Do you believe the government should be investing more or less in renewable energy companies? James Stafford: In a recent article you mentioned that the world economy is currently suffering from high-priced fuel syndrome. Would you be able to let our readers know a little more about this? And also if there is anything that can be done economically to help move beyond this syndrome? James Stafford: What is your position on peak oil? Have we already reached the peak in oil production? Or do you side with Daniel Yergin in saying we have decades more of production growth? James Stafford: What is your view on our energy future? Is it as bleak as some commentators point out – or is there a ray of hope for us? This is an issue that can’t be expected to go away, even with new (high priced) oil supply in the US, or with the possibility of more natural gas supply. We are right now experiencing adverse financial impacts from high oil prices, but these impacts are being disguised by artificially low interest rates and huge amounts of deficit spending. James Stafford: We recently published a news piece on a broker who in a drunken stupor managed to move the oil markets. 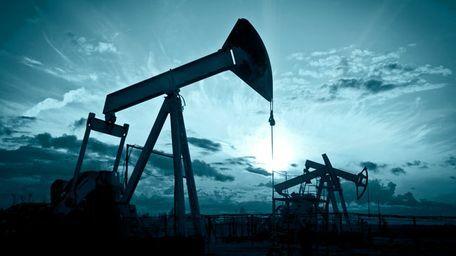 What do you believe moves oil prices – is it supply and demand or energy market traders – or a bit of both? James Stafford: If oil prices continue to rise do you see Americans changing their driving and energy consumption habits? James Stafford: A short while ago Forbes ran a piece on Thorium as possibly being the biggest energy breakthrough since fire and both China and India have announced their intentions to develop thorium reactors. What are your thoughts on thorium as a possible replacement for uranium? James Stafford: In another article you have linked energy to employment and recession. Are you suggesting that without growth in energy production the economy will not grow, and employment levels will not rise? James Stafford: What is the most pressing matter that will affect the world in your opinion? food shortage, water shortage, energy shortage, climate change, etc? James Stafford: Economic growth is what the public expects, anything less is treated as a recession, but is constant economic growth a realistic goal? Is it achievable? James Stafford: If the transition from fossil fuels to renewable energy is ever actually made, what do you believe will be the effect on GDP? James Stafford: Other than a severe reduction in the global population what solutions are available to humanity as it reaches the limits of the planet? James Stafford: In your opinion, who will make the better president in terms of energy policies and saving the economy, at the upcoming elections? James Stafford: Gail thank you for taking the time to speak with us.